I've always been a rebel, when it comes to magic. Needless and rigid adherence to tradition for tradition's sake. Conventional 101 explanations of magic that you find in most books written about magic. Valuing what is old over new. Prescriptive magic, spells, grimoires, etc. that don't help you understand how magic works. People asking me questions about magic but not doing the damn work or wanting everything provided to them for free. Discouraging people from experimenting with magic. Taking responsibility for your own spiritual and magical work. Experimenting with magic and challenging your own assumptions, values, and beliefs in the process. Testing who you are and refining yourself through the spiritual work you do. 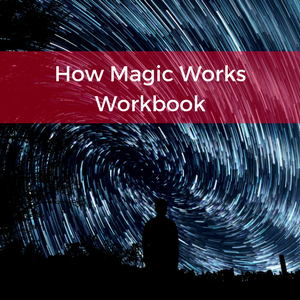 Applying a multi-discipline approach to magic to discover how different disciplines and practice can improve your magical work. Applying your imagination to change reality. Discovering the hidden potential of magic and yourself and using it. 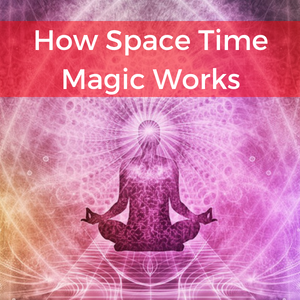 Creating new systems, processes and techniques of magic. That's what magical experiments is about. If you want to learn more, grab one of my workbooks or read my blog. When you get one of my workbooks, you also get subscribed to my newsletter, where you'll get exclusive content each week that I don't share anywhere else. Also feel free to visit my sister site, Imagine Your Reality, where I share my written Science Fiction and Fantasy writings.